What complicates the situation, even more, is that many home sellers will select a listing agent based on the agent who suggests the highest list price, as though somehow the agent has magical powers to sell the home for more money than the agent who suggests a reasonable list price. Sellers often don't realize that list price, when everything else is stripped away, is fairly immaterial and unimportant. The list price is important only to the extent that it could draw or repel a potential home buyer. It is the sales price and the subsequent appraised value that carry more weight. It truly does not matter how much a seller thinks he or she needs to get for the home because sales prices are not based on sellers' needs or desires. Sellers either conform to the market or they don't sell a home. Market value is dictated by how much a buyer is willing to pay and, if the buyer is relying on financing to complete the sale, how much the appraiser believes the home is worth. What agents hope for or the sellers want makes no difference in the real world. 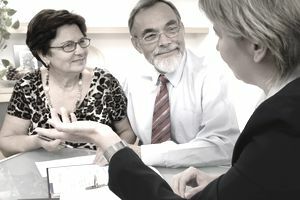 People tend to remember the sales price of a home when it was initially listed more so than the sales price at closing. The sign goes in the yard, fingers fly to the keyboard, and there is your neighbor's home online in all of its glory priced way beyond anything you ever hoped to receive. However, the price the home is listed at and the price it eventually sells for can be very different. In a strong seller's market, the home might sell above list price. In a buyer's market, the home could sell below market value. There is also the condition of the home to consider, its upgrades or the lack thereof, deficiencies discovered during a home inspection - all things that can affect the final sales price. Note: The only type of comparable sale that is significant is a sold home of similar size, configuration, condition, and location. And typically an appraiser will use three comparable sales at a minimum and prefer six. A neighbor can list a home for a gazillion dollars and, if so, it has no bearing on actual value. In some areas of the country, single-level homes are more desirable than two- to three-story homes, and although the square footage of those homes could be identical, a single-level home might sell at a higher per-square-foot cost. Further, a smaller home would typically carry a higher per-square-foot cost than a larger home. If all the homes in your neighborhood are two-stories and sell at an average per-square-foot cost, you might be able to guess-estimate a value based on average square-foot costs, but the likelihood is the homes vary. Square foot averages are generally a casual guideline. Sometimes real estate agents will ask how much other agents have suggested, and then that agent will bump up the price to appear as a more attractive option to the seller. Do not choose an agent based on the highest sales price. Choose an agent based on integrity, knowledge, experience, and ability to sell your home without a lot of drama. The price the home should be listed for on the market. The sales price a buyer will offer. The price an appraiser will use and on which a bank will loan. The important thing is to establish a price that will attract a buyer to view your home in person, which is not necessarily the price at which it will sell. Picking the right sales price should be based on comparable sales, market movement, and nothing else matters. If the market does not meet the seller's expectations, a seller might want to wait until the market falls in line.